Your logo (with direct link to the web site of the school) will be displayed on the student website www.inartsfair.com for one year, which will lead to a strong brand awareness and marketing. Price: 1 year EUR 750 You can buy this by registering online. Advertisement through web banners ( with direct link to the web site of the school) in Turkish Student website www.inartsfair.com detailing fair schedule, locations and scholarships. The high volume of demand on web site will enable greater exposure and reinforce brand awareness. Price: 1 year EUR 1000. You can buy this by registering online. 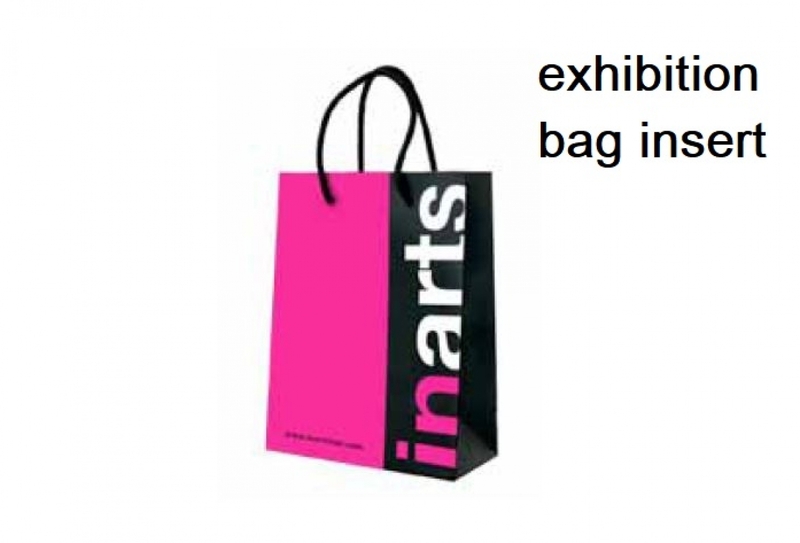 Please contact ebru@inartsfair.info for banner specifications. All visitors attending the fair will be required to stop at the front desk of the hall and provide their contact information. This huge amount of data will be used for promoting your school and 2 newsletters customized for you will be sent to every single person who visited the fair. Price: EUR 500 You can buy this by registering online. You can insert your brochure in the bags distributed to visitors at the entrance of the exhibition hall. Price: EUR 800 You can buy this by registering online. Exhibition guide, which helps visitors to see the programs offered by each exhibitor, is distributed to everyone for free. You may be featured with a half-page ad in the guide. Price: EUR 800 You can buy this by registering online.